DownloadStudio is the fastest download manager on the planet. It can download all your files, movies, music, programs, games, flash video, photos, TV shows, documents, RSS feeds, blogs, podcasts, complete web sites, complete FTP sites and much more! DownloadStudio contains 12 specialized downloading tools to help you download all the files you want. It works with all the latest web browsers, including Google Chrome, Firefox and Internet Explorer. DownloadStudio runs on 32-bit and 64-bit versions of Windows 10, Windows 8, Windows 7, Windows Vista and Windows XP. DownloadStudio is the fastest download manager on the planet! 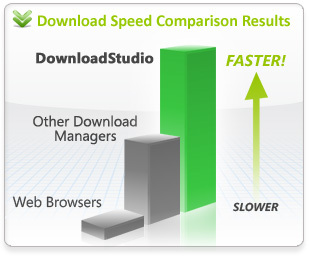 Advanced downloading techniques mean DownloadStudio is up to 5 times faster than web browsers and up to 50% faster than other download managers. Resume broken or failed downloads so you'll never lose a download again. Schedule downloads for off-peak periods, overnight or any time of day. Supports all popular internet protocols, including HTTP, HTTPS, RTSP, MMS, RSS, FTP, RDF and ATOM. DownloadStudio lets you download all your favorite videos (FLV. MP4, etc.) from popular video sites such as Youtube, Youku, Google Video, Dailymotion, Vimeo, Crackle and many more. For more supported sites, see Supported Sites. DownloadStudio contains a specialized URL sniffing application called DownloadStudio URL Sniffer. Some URLs (web addresses) can be very difficult to find - especially for video and music playing in your media player or web browser. DownloadStudio has solved this problem with DownloadStudio URL Sniffer. DownloadStudio URL Sniffer looks for URLs in your internet traffic. Once URLs are found, they are listed for you to select and download using DownloadStudio. DownloadStudio URL Sniffer will find video URLs, music URLs, photo URLs and more. Downloading streaming audio and streaming video is a must-have feature when choosing a download manager. Streaming audio and streaming video is not like a typical file on the internet that you can download and save onto your computer. It is streamed to your computer, played in your media player and then discarded. DownloadStudio can connect to, download and save streaming audio and streaming video directly from Windows streaming media servers - even live broadcasts! This lets you keep your favorite music, movies, video clips and TV shows on your computer and play them without being connected to the internet. 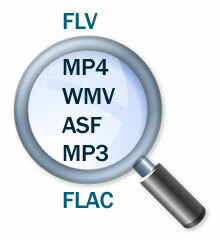 Formats include ASF, WMV, WMA, ASX, WVX, WAX and WSX. DownloadStudio can also download internet radio from SHOUTcast servers. Simply enter the URL for the broadcast and DownloadStudio will start downloading it. DownloadStudio lets you download a range of files so you can quickly and conveniently get a collection of files that you want. 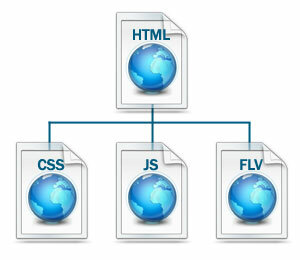 Web sites often use file-naming conventions whereby their content is named using a series of numbers or letters. For example, a celebrity photo gallery site may name its "Angelina Jolie" photos as jolie001.jpg, jolie002.jpg, jolie003.jpg & jolie125.jpg. You can see that they are a series of photos numbered from 1 to 125. Rather than the tedious job of downloading each photo separately, DownloadStudio's File Range Downloader lets you get all these files in one step. Simply enter the URL for one of the photos and specify the file range for the download. DownloadStudio that can download collections of files from photo gallery sites, music sites, video sites and more. DownloadStudio lets you download a complete web site, or to download just certain files that match your criteria from a web site. Downloading a complete web site allows you to view the web site offline without being connected to the internet. All files for the web site are downloaded and the site is fully functional. This is great for offline browsing, for research purposes and for making regular backups of a web site. Only DownloadStudio lets you specify the exact criteria to get specific files from a web site. DownloadStudio works with all popular web browsers! Some web sites may not allow mulitple connections or downloads. Some web sites may not allow accelerated downloading using DownloadStudiio's split technology. Some sites may require password access to download files. Some web sites may require a proxy server. DownloadStudio will use these Site Rules whenever you download from web sites so all files download successfully. DownloadStudio contains a specialized audio and video recorder application called DownloadStudio Audio/Video Capture. It lets you capture any audio or video as it plays on your computer in your media player or web browser. This lets you save any audio or video from any web site onto your computer. DownloadStudio Audio/Video can record any audio and video formats - including streaming audio or video from Windows, Real and QuickTime streaming servers. DownloadStudio lets you subscribe to and download RSS feeds, podcasts and blogs. Most web sites and blogs include RSS feeds for visitors to keep up-to-date. 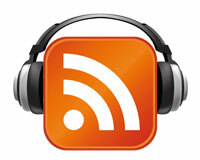 Podcasts are a very popular way to listen to the latest music or watch the latest videos. Using DownloadStudio, you can view all the content from your favorite feeds, or download all the links within a feed so you can read the content offline without being connected to the internet. DownloadStudio can download podcasts including all the music files or video files in the podcast. This lets you play them on your computer or transfer them to your portable media player, such as an Apple iPod, Sony PSP or Microsoft Zune. After downloading a compressed file (.ZIP, .RAR, etc. ), you need to extract the files from it. After downloading a Flash video (.FLV) file, you want to convert it to a format that you play in your media player (e.g. AVI, M4V, MPEG-2). After downloading a set of multi-part files (.001, .002, .003, etc. ), you need to combine them into one file. After downloading a movie, you want to add it to Mezzmo for DLNA streaming in your home. All these tasks are completed automatically in DownloadStudio using Post Processing Actions. Post Processing Actions can be configured by you. You can choose any program on your computer that you want to run - for example WinZip or WinRAR. DownloadStudio knows about many popular applications - such as Mezzmo, WinZip, 7-Zip, and WinRAR. If you have any of these programs installed, then Post Processing Actions will be automatically installed and run when you download a matching file. If you use cloud storage to store your files, then you can get DownloadStudio to automatically download files into your cloud folder on your computer so they are synced to your cloud storage account. All popular cloud providers supported. DownloadStudio's Site Explorer is like a web browser except that it lists all the images, flash and links on a web page. This is very handy when you are having troubles finding the files that you want to download from a web site or FTP site. Once listed, simply choose the files you want to download and DownloadStudio will use File Downloader to get them. DownloadStudio lets you preview the contents of ZIP files on web sites. This lets you select the files inside the ZIP file that you wish to download. DownloadStudio will extract just the selected files and download them for you. Once you have downloaded your favorite RSS feeds, blogs or podcasts using DownloadStudio, you can view them with DownloadStudio's RSS Feed/Podcast Reader. The RSS Feed Reader lets you view all your feeds, check for updates to feeds, subscribe to new feeds and more.